I've just purchased a 112k fiesta mk v and am in the process of changing the timing belt as it's never been done. 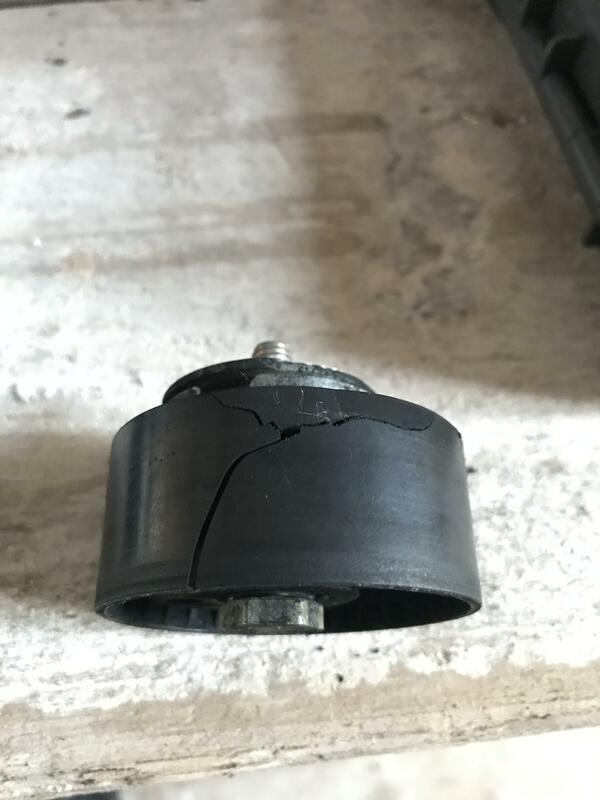 I ordered a dayco belt and tensioner pulley kit but the pulley in the kit isn't the same as the one I've taken off. The kit was down as being up to 2005 on all the sites I looked at but it comes with a back plate where the one I've taken off is a bolt through the middle. I've looked on a few different sites and they all give the same type as fitting my car. Any suggestions as to the part number I need so I can view an image and check it matches. I have attached an image of the one I removed. Yes attached is the new one supposedly up to 2005! i asked about engine as I thought it looked like a diesel one but forget that. I have looked in my fiesta haynes manual. That says the old one you have is pre September 2003 type and the new one you have is after Sept 2003. It has pictures of them. I get the impression that you can use the new one if you remove the old bracket from the engine, but it is not very clear in haynes manual if there is any other differences to take into account. It does not say whether or not interchangeable. It's a 1.4 petrol. Looking again I think you are probably right that I can just remove the old bracket. When I did that and compared the 2 the tensioner seems to be in exactly the same place just the new part is fixed to the bracket where the previous was bolted to it. 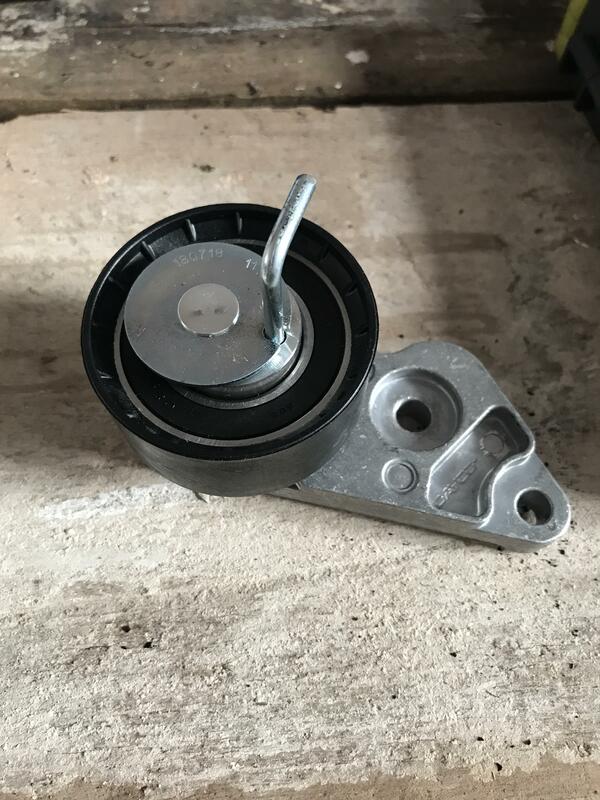 Just for information I found out that the part I was supplied is correct and is an upgrade on the previous 2 piece tensioner. Very easy to fit and simply pull the pin to tension once the belt is on. 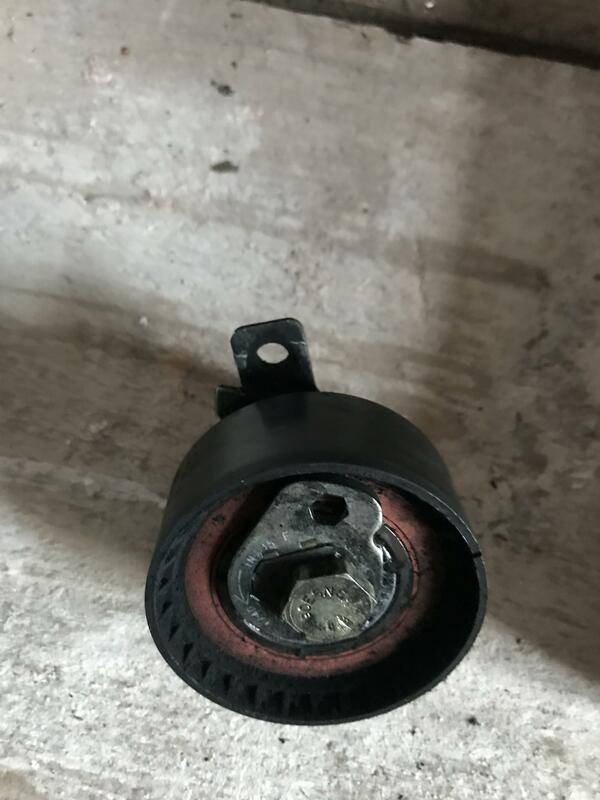 I think just in time looking at the old tensioner (images attached) !!!! I think you were lucky there, you coould have had 16 bent valves very soon. 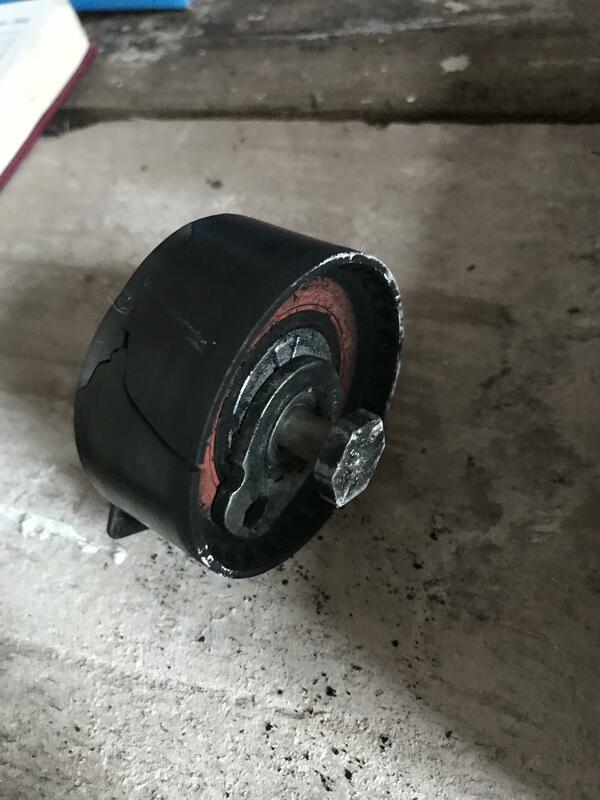 In the old days the tensioner wheels were metal so would not break like that. but then again maybe they caused more wear to the belt. I ummed and ahhed about the belt as the car supposedly has FSH but there was no evidence of a belt change and in the end I thought what the heck. £100 for water pump, timing belt and tensioner and 2 drivebelts and few hours of my free time. Consider myself very lucky and a lesson learned.